This was an interesting and challenging garden design in a small west facing garden in North London. 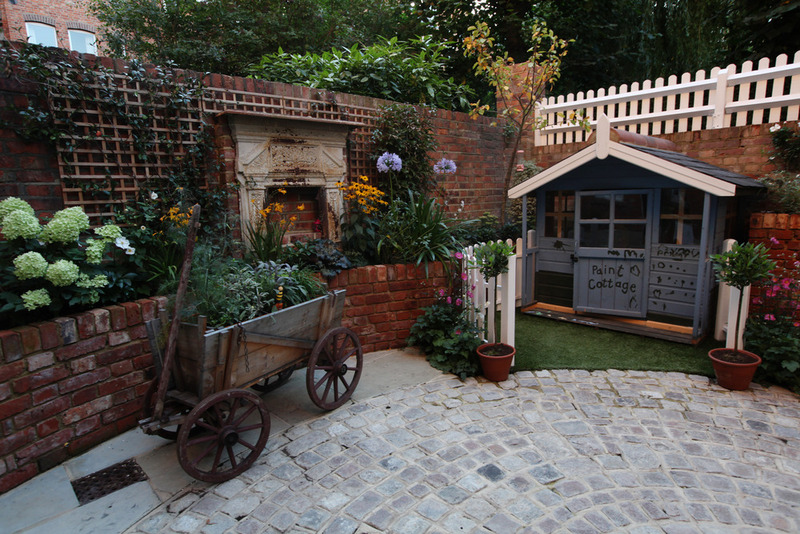 Our clients have three young children of varying ages and wanted a garden for all to enjoy, incorporating traditional and modern elements. The garden is composed of two circles outlining and linking the spaces. A radial pattern of reclaimed granite setts denotes the main area suitable for adults to entertain and children to play in. Yorkstone paving surrounds the area to define the shape and complement the materials. 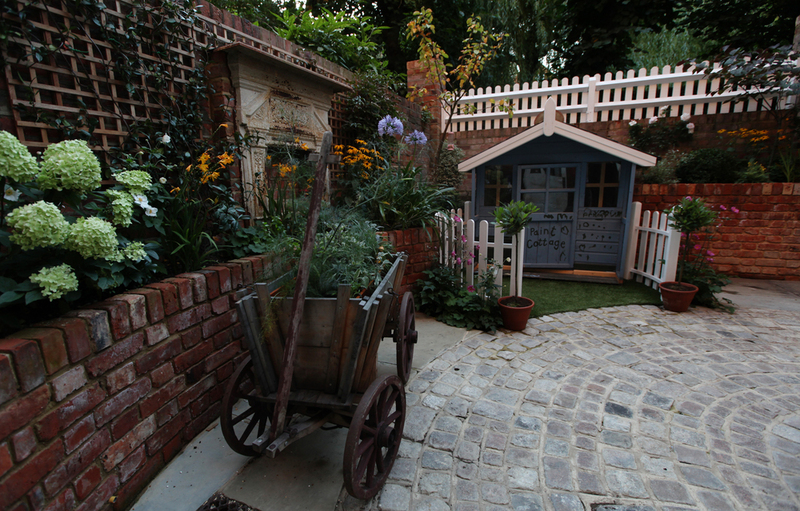 A traditional white wooden picket fence encircles the children’s playhouse complete with a modern Astroturf lawn. 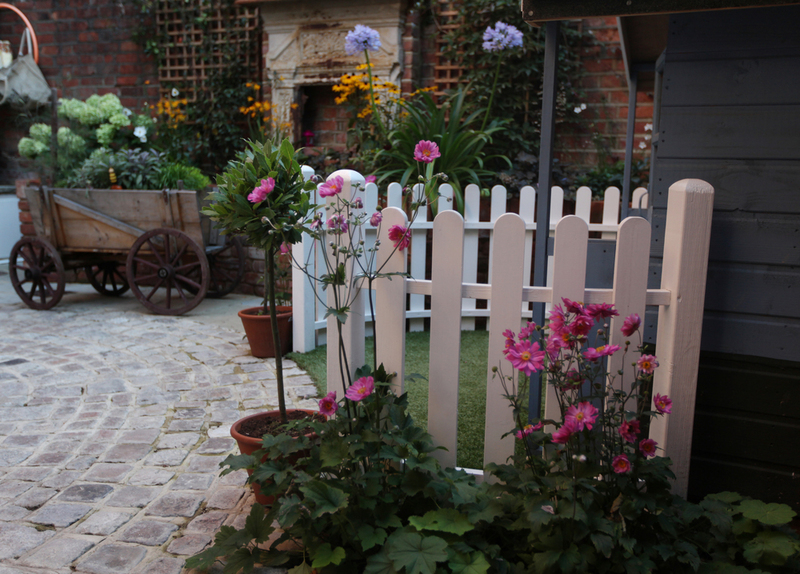 Raised planters built from second hand soft red bricks matching the existing architecture are home to floral cottage style planting to enhance the scheme. Roses and jasmine climb while a crab apple (Malus) and Cercis Canadensis provide height and interest. One wall has three shaped blackboards cut into the hardwood trellis, opposite is a salvaged fireplace where candles create an atmospheric evening glow.